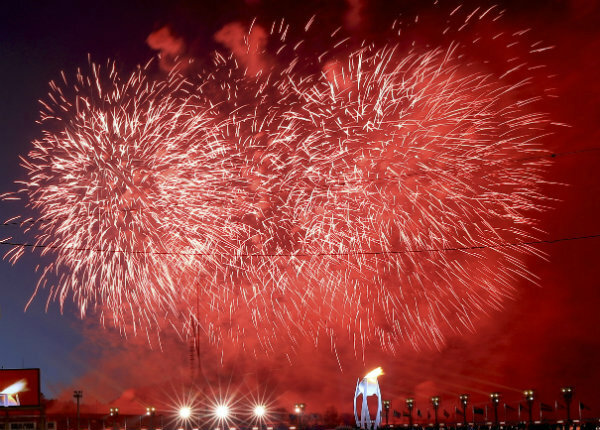 That comes with an asterisk: It’s not measured against weeks that included Super Bowls and a full seven nights of Olympics, NBC said Tuesday. The first four nights of the Winter Olympics, the episode of “This Is Us” following the loss of beloved dad Jack (Milo Ventimiglia), and the lighthearted “Ellen’s Game of Games” helped power NBC’s win, according to Nielsen figures. But the huge Super Bowl bounce that “This Is Us” got when it aired in the coveted post-game spot Feb. 4, a series high of nearly 27 million viewers, fell back to earth last week. NBC averaged 15.82 million viewers in primetime. CBS had 5.55 million viewers, ABC had 4.04 million, Fox had 2.85 million, Univision had 1.56 million, the CW had 1.37 million, ION Television had 1.32 million and Telemundo had 1.11 million. Fox News Channel was the week’s most popular cable network, averaging 2.54 million viewers in primetime. MSNBC had 1.7 million, ESPN had 1.37 million, HGTV had 1.366 million and History had 1.33 million. A look back at 1970s history paid off for CNN. The premiere episode of its documentary series “The Radical Story of Patty Hearst” helped lift CNN over MSNBC in the time slot last Sunday, 947,000 vs 406,000 viewers, and bettered CNN’s weekly average of 872,000 viewers. In the broadcast news contest, a bit of NBC spelling creativity failed to keep its newscast from a second-place showing. The network retitled a pair of “NBC Nightly News” telecasts as “NBC Nitely News” because they aired outside their usual slot in a quarter of the country and drew lower ratings. It’s a gambit within ratings boundaries and not unique to NBC. ABC’s “World News Tonight” was the leader with 9.41 million viewers, followed by NBC with 9.68 million for three nights and 8.43 million for two nights — which combined average about 9.2 million. The “CBS Evening News” had 7.09 million. Below are primetime viewership numbers compiled by Nielsen for Feb. 5-11. Listings include the week’s ranking and viewership.